If you teach students who are fans of Twilight, The Hunger Games, The Maze Runner, The Fault In Our Stars, or anything deep, powerful and emotional, they are going to go crazy for the piano pieces in Guardians of Ballinmore. 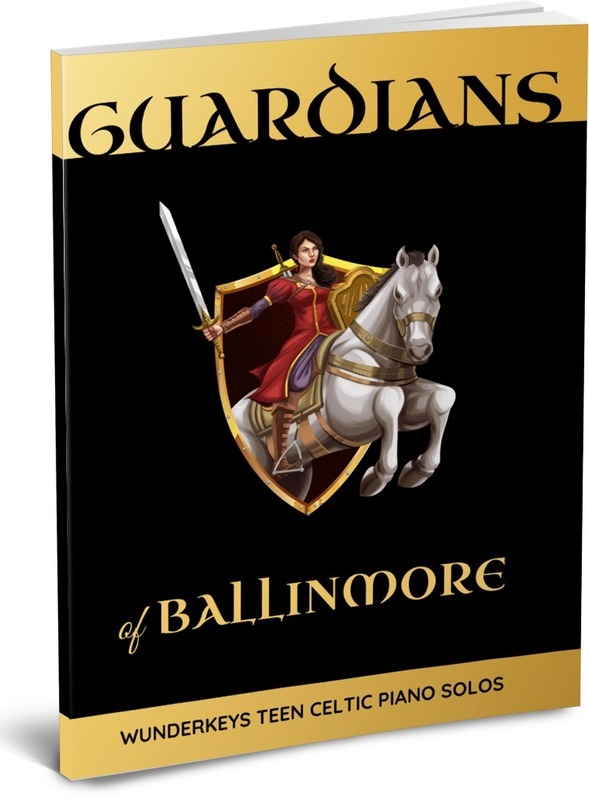 Guardians of Ballinmore features powerful, celtic piano solos inspired by the legend of a mysterious band of celtic youth who, in 49 AD, descended on the small village of Ballinmore, repelled the attacking Roman army, and saved Ireland. With this book, you can finally stop your endless search for inspiring teen music. A visual preview for Guardians of Ballinmore, Teen Celtic Piano Solos is available here on Amazon.